Are we at the end of the Rhodes...? Guess we will be spending another first round pick on a CB next year. Yes, at some point you can if you're not improving other areas in need. Big opportunity for Hill. Yikes. Good luck to him either way. I know you're probably being a little facetious, but they will likely still have to get one in the mid to late rounds to be fine. It all depends upon the depth of the draft at the position. I don't think they'll need to draft one high again, unless there is someone there that can't be passed up. That was completely to plan. Leaving Adams wide open made Rodgers get overly excited and in turn, put 2 inches more on the throw than he had to. If Hill has good coverage on Adams, Rodgers probably hits that throw. So to review, Hill was using psychological warfare to goad Rodgers into making a bad throw. Exaggerates based on what? That he continuously plays through injuries? Amazing. Players used to get praised for that level of toughness. based on him getting hurt every other game, or so it seems. How do you really know how much pain he's in to judge his toughness. It could be the same amount of pain that Harrison Smith could be in, but you don't see him making sure everyone knows about it. It's all perception from our perspective. I think he's exaggerating some of his injuries, and you think he's tough as nails for playing through his injuries. If it's season ending, then maybe you were right, If he's back in a week or two......Then maybe he was exaggerating it just a little bit. 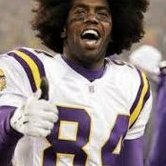 Does Rhodes get hurt more than any other player in NFL history? Seems like he has to leave every game at least once or twice because of injury. Keep in mind Zimmer's history with injury reports. Look at the reports on Rhodes earlier this year against the Saints! I'm not saying Rhodes is done for the year, but I wouldn't be shocked if he missed a week or two.